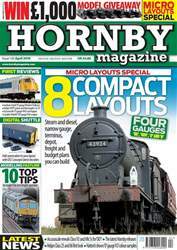 Relive the glory days of Britain’s famous trains in the latest issue of Hornby Magazine as we pay a visit to one of the biggest ‘O’ gauge model railways in the country - John Ryan’s outstanding Over Peover. 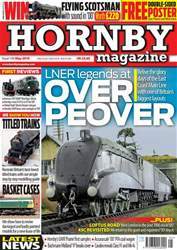 Following the famous trains theme, we also have an exclusive competition to win a model of Gresley ‘A3’ 4-6-2 60103 Flying Scotsman with Hornby Twin Track Sound fitted, a step-by-step guide to modelling titled trains from the BR era and we cover the story of titled trains in Railway Realism. 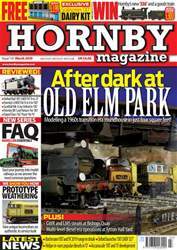 Plus, we review Kernow Model Rail Centre’s new D600 ‘Warship’ and Hornby’s new ‘Terrier’ 0-6-0T for ‘OO’ gauge, take a tour of exhibition favourite Loftus Road, show how to revive badly painted models and much more. Don’t miss it!